SDFS operates the www.sdfs-cmas.com website, which provides the SERVICE. 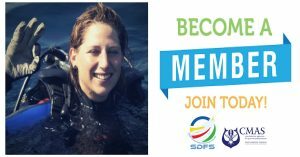 This page is used to inform website visitors regarding our policies with the collection, use, and disclosure of Personal Information if anyone decided to use our Service, the SDFS The Scuba Divers Federation of Seychelles website. For users that register on our website, we also store the personal information they provide in their user profile. All users can see, edit, or delete their personal information at any time (except you cannot change your username). Website administrators can also see and edit that information.